Today I would like to share with you a very precious and unique baby card made on a paper bag. 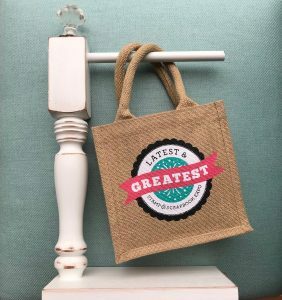 What a fun and creative way to give a card to that sweet mom on her special day. 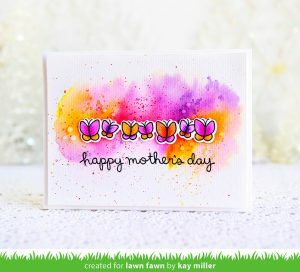 This beautiful card was created from Elin Torbergsen at Elinshobbykrok blog. A big Thank You to Elin for today’s wonderful inspiration and sharing this card with us. The top of the paper sack is punched with Martha Stewart Scalloped Dot Edge Punch. Elin has used some beautiful paper “Pion’s paper” that was made in Sweden. To soften the colors of the paper Elin used distress inks and gesso. Finding just the right sentiment Elin made a frame around it using the Spellbinders Shapeabilities Frame. Then distressing around the edges using the Tim Holtz Paper Distresser Tool. Adding four different laces along with cheesecloth made this a very vintage and feminine card. To create the finishing touches she used pink and white roses around the bottom corner of the card. Creating a shabby seam binding bow, she added it to the top of the card. Pearls were place on top, center, and bottom of the card. To complete the Card you can put your sentiment on there such as Congratulations on your new baby! Creativity involves in breaking out of your traditional style. Take a look at your project in a different way, and never hesitate to try something new. 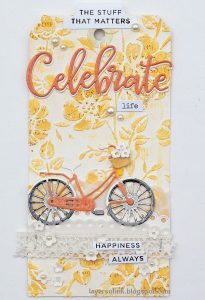 This entry was posted in Card Making, Paper Crafts and tagged Elin Torbergsen, Elinshobbykrok, Live & Love Crafts, Martha Stewart, paper bag, Spellbinders, Tim Holtz, Vintage.